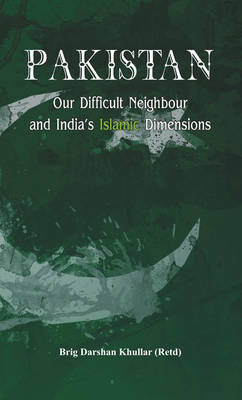 In this remarkably candid book, the author has taken a hard look at Pakistan, in his words our difficult neighbour and analysed the reasons as to why the two countries have never been friends and probably will not be in the future, at least not in the immediate one. The author attributes India's failure to neutralise Pakistan to its kind of near constant Gandhian (passive) approach to India's security interests. The author believes that the future of Muslims in India is bright and that it would be quite a lusterless country without them. It is a matter of time before India has its first Muslim Prime Minister but this will happen when the latter represents interests of all Indians and not merely those of the Muslims. His study of Muslims is spread of a wide range of inter related perspectives.